At some point in your life, you are likely to need to change jobs. You might need to switch career fields, or you might be trying to move up the corporate ladder. You might even be forced into switching things up due to a layoff. No matter the reason, one of the ways you can advance your career is with the help of a career coach. 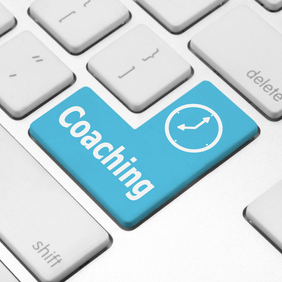 Usually, a career coach is most helpful when their services and techniques match your own career goals. Think about why you are hiring a coach, and what you want to accomplish. Do you want to change career fields? Do you want a promotion? Are you hoping to switch to a new company in your current career field? Are you looking for tips on how to ask for a raise? Are you hoping to get back into the workforce after a layoff or an extended absence? The career coach you choose depends on your goals. When possible, look for a career coach with expertise in your desired field. The way an engineer searches for a new job is different from the way a teacher looks for a promotion. Try to match your career coach with your goals. It can be difficult to find a career coach with the right credentials. States don’t usually license these professionals, and there is no “official” board. You can start out by looking for those with certifications through the Professional Association of Resume Writers and Career Coaches (PARCC) or through the International Coaches Federation (ICF). That will at least give you a baseline for quality, although it’s not a guarantee that you are working with someone that knows what they are doing. You can also ask for referrals. Do you know anyone who has used a career coach? Were they happy with the coach? Sometimes, the best credential is a glowing testimonial from someone you trust. Remember, though, that career coaching is more about compatibility, and what works well for your brother-in-law might not work for you. Many career coaches will offer a short session for free. This gives you the chance to see if you can work with the coach. If someone “rubs you the wrong way,” it might be a good idea to move on, no matter how great others think they are. Any coaching situation is personal and requires a high level of trust. If you don’t get that, move on to the next candidate. Also, realize that many career coaches do their work over the phone. In some cases, this is so that the coach isn’t swayed by your appearance. However, this works to your advantage, since it means you aren’t confined to your geographic area. You can cast a wider net to find a career coach that works for you. At some point, you will have to consider the fee. While some coaches charge as little as $50 an hour, you are more likely to pay in the $100 per hour range. There are some career coaches that charge up to $400 an hour or more for their services. Be realistic about what you can afford, and what you need help with. Also, if you meet certain requirements, it might be possible to deduct the cost of your coaching on your tax return. A good career coach can make a big difference in your job search, so if you decide to hire one, make sure that they are really as good as advertised. Are you considering a career coach? What do you hope they can help you with? Leave a comment!